We are in love with these fun and colourful shoes and have teamed up with BIION Footwear. Available for the first time in the UK and Europe. Just in time for summer. Whether you are in London, Sitges or Provincetown, step into a new dimension of comfort and style. 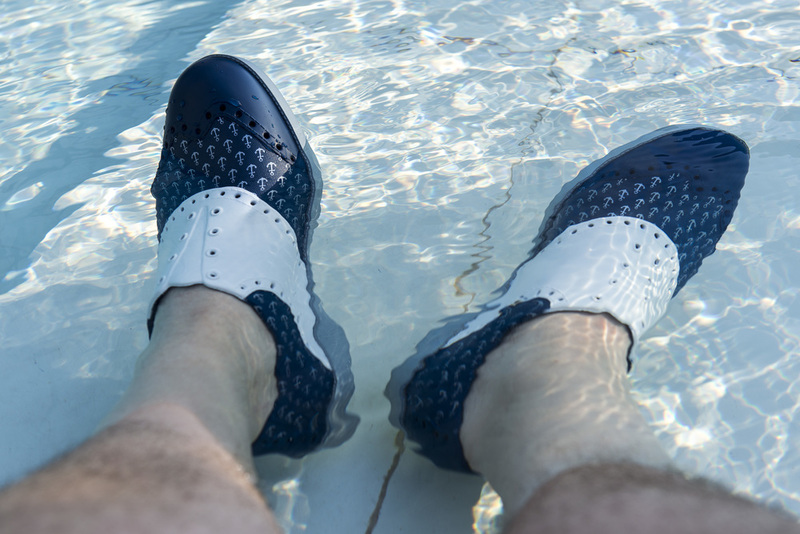 The Oxford style shoes are made completely from EVA (ethylene-vinyl acetate), making them not only the perfect shoes for street wear, but also for the beach or pool. All models are waterproof and completely submergible! Small holes in each shoe make sure you stay cool and massage nodes inside give you a therapeutic feeling with every step. To get things started we decided for three styles: Camo, Anchor and Luau. To see more pictures and details of each model please head over to our shop.